Years ago when I was getting heavy into CSS, Web Standards, and reading Jeffrey Zeldman's Web Standards book, I came across a site called CSS Zengarden. The premise behind the site was to highlight the power of CSS and moving away from tables for page layouts. 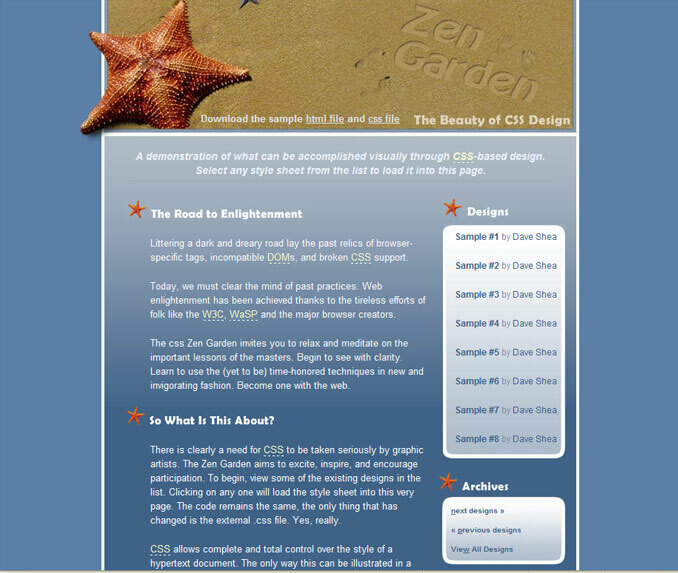 By simply changing one css file and adhering to a fixed HTML file, visitors were encouraged to submit their entries into the CSS Zengarden.